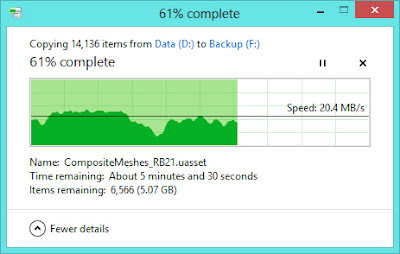 Home / benchmark / harddisk / storage / usb / What is Actual Speed of USB 2.0 Compare to USB 3.0? 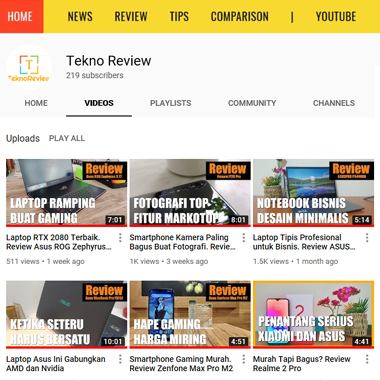 What is Actual Speed of USB 2.0 Compare to USB 3.0? Hi. I'm about to buy a new external USB harddisk. There are two types that I like, and afford. Both of them are 320GB USB 3.0 and 320GB USB 2.0. I prefer the USB 2.0 because of course, it's cheaper and I can save my money for other purposes. 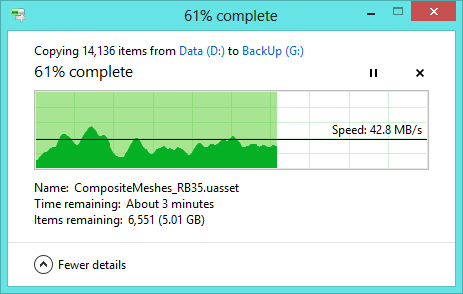 The question is, is it necessary to go to USB 3.0? Is it worthed? 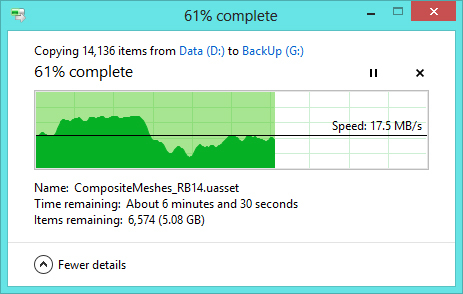 Above is the real transfer speed of 5400rpm external USB 3.0 harddisk plugged in to USB 3.0 port. 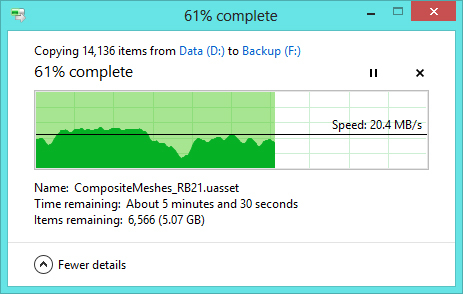 Above is the real transfer speed of 5400rpm external USB 3.0 harddisk plugged in to USB 2.0 port. 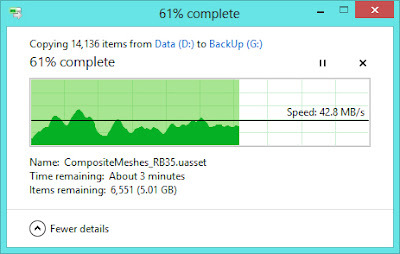 Above is the real transfer speed of 5400rpm external USB 2.0 harddisk plugged in to USB 2.0 port. So, if you have a PC or notebook with USB 3.0 port, and very likely that you have, your better option is go with the USB 3.0 version. Unless you very rarely move your data, and use the external harddisk just to store the unused files.